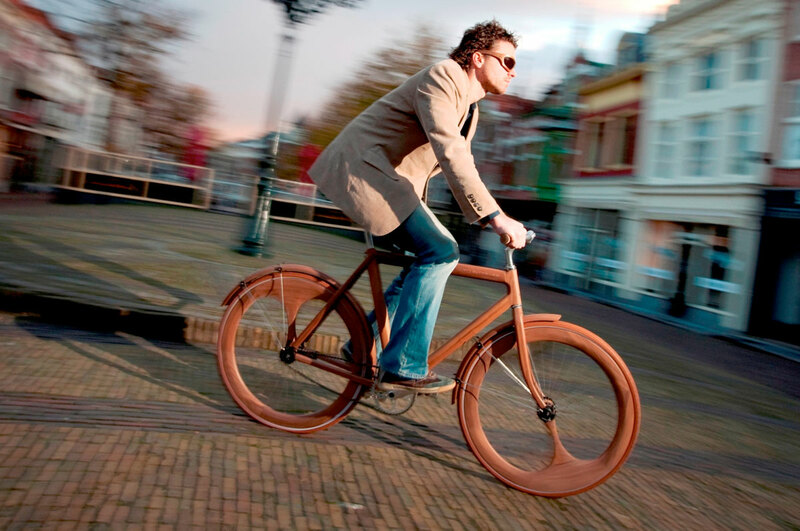 Wooden bicycle from Jan Gunneweg. One of the most unique bikes I’ve seen in quite awhile. Thanks John! 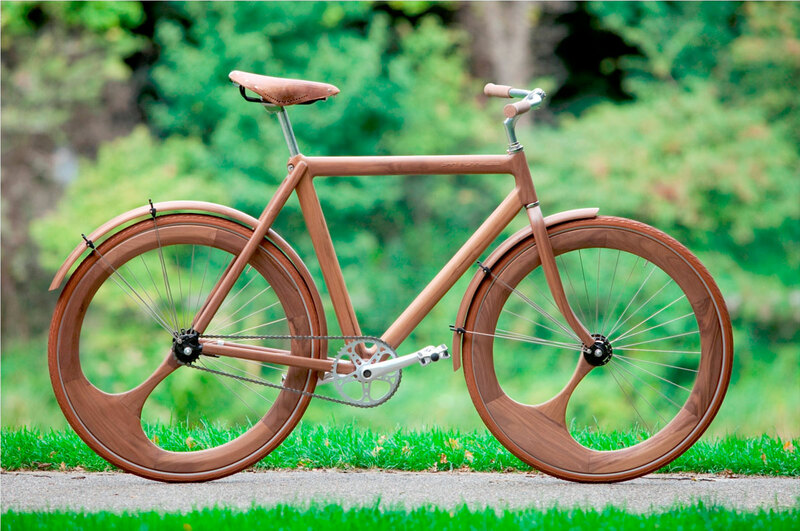 Made out of solid walnut and weighing under 35 pounds, the bike’s unique cachet is all in the wheels, which each sport a thick wooden spoke. Drawing attention away from the metal support spokes, the wooden spokes create the impression that there is a continuous line from front wheel, through the frame and all the way to the rear wheel.